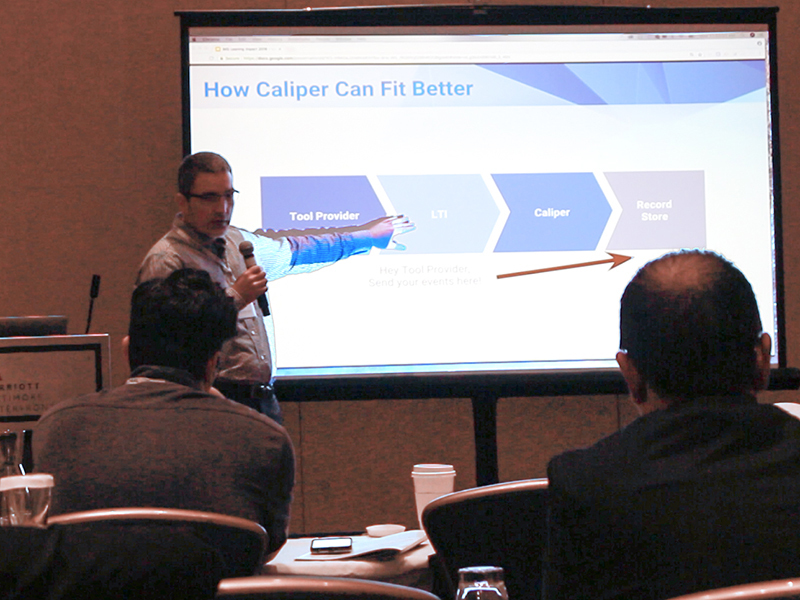 Anthony Whyte describes the substantial improvements found in Caliper Analytics version 1.1 in his presentation at the 2018 IMS Global Learning Impact Leadership Institute. Sean DeMonner, U-M’s executive director of Teaching and Learning (left) and Terry O'Heron, Director of Operations, Teaching and Learning, Pennsylvania State University promote LTI Advantage adoption and certification for better teaching and learning experiences. Zhen Qian explains how Canvas live event data can be used to provide insights into an individual’s learning process and help in decision making. 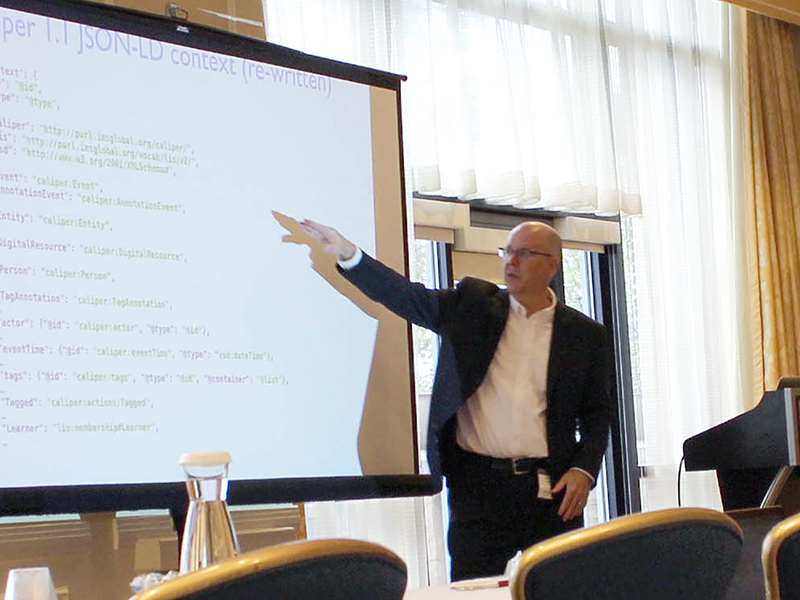 John Johnston demonstrates how the Unizin Data Platform (UDP) delivers services and products to enable a data-driven teaching and learning ecosystem. Sean DeMonner, ITS executive director of Teaching and Learning (TL), and Anthony Whyte, ITS-TL IT program manager, each received leadership awards at the 2018 IMS Global Learning Impact Leadership Institute held in Baltimore in May. DeMonner was recognized for leadership in higher education, while Whyte received his fourth consecutive IMS leadership award for his work leading the Caliper learning analytics workgroup. DeMonner received his award in recognition of his extensive IMS engagement, in particular for his role as the inaugural chair of the Higher Ed Executive Advisory Committee for the past two years. During that time he led the effort to establish the HED Advisory Committee, recruit new membership, engage with IMS leadership around issues impacting Higher Ed, and help set direction for the HED Innovation Leadership Networks (eg. 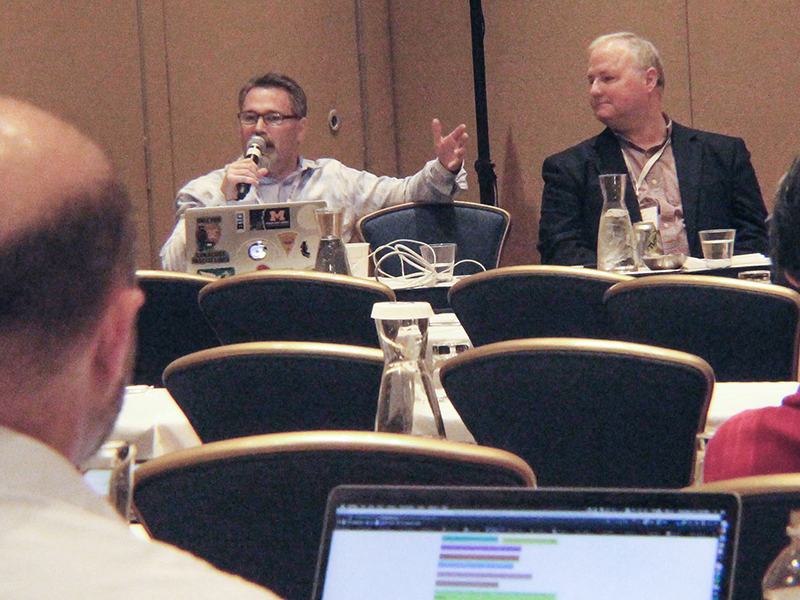 Learning Analytics, Digital Credentialing, etc.). 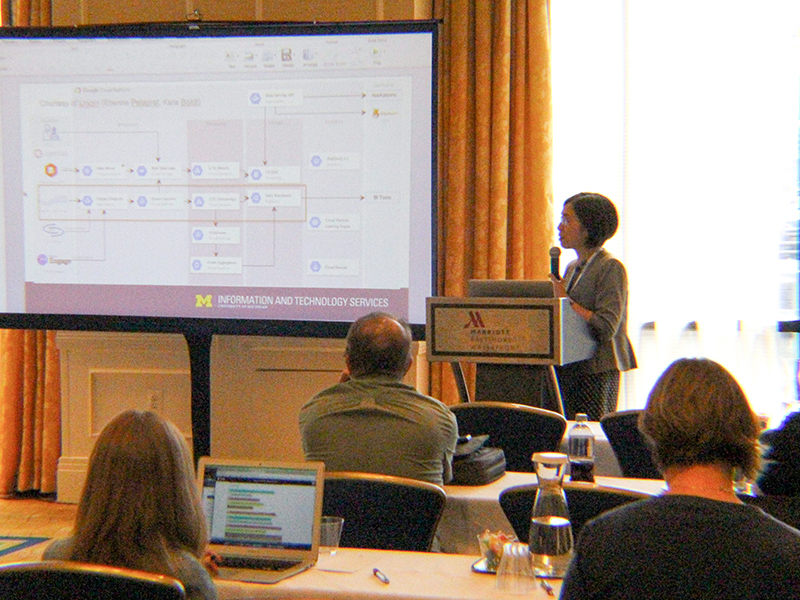 U-M was well represented by the Teaching and Learning Group at the 12th annual IMS institute. DeMonner, Whyte, Zhen Qian, and John Johnston each led presentations related to different aspects of the work U-M’s Teaching and Learning group is doing with Unizin, using IMS standards.